Some call them sea cows. Others, falsely, believe that they’re manatees. But the marine mammals are actually dugongs. They have paddle-shaped tails, similar to whales, that move up and down as they slowly swim. Their nostrils are high on their heads, their mouths are pronounced, and the males have tusk-like teeth. They’re gentle vegetarians, who eat seagrass in protected, shallow areas. While they live in between the western Pacific Ocean and the east coast of Africa. The Ashmore and Cartier Islands are one of their favorite spots. You’ve probably never heard of the Ashmore and Cartier Islands. Though it’s an Australian territory, few Aussies have either. The external territory—which is comprised of two lagoons, two coral reefs, and four islands—lie 200 miles off the northwestern coast of Australia. It’s actually closer, by more than 100 miles, to Indonesia’s Rote Island. Since it’s the closest Australian land to Indonesia, it’s become an important landing point for asylum seekers in recent years. Except for occasional seasonal caretakers and scientific researchers, they’re the only people who have seen these dugongs in years. Indonesians once used the surrounding waters as fishing grounds and American whalers arrived in the 1850s, before a 1933 act placed the Ashmore and Cartier Islands under Australian control. Then the islands were largely ignored for more than a century, until they were declared a nature reserve in 1983. It’s now one of the most biodiverse areas of a country already famous for its extensive coral reefs and fascinating sea creatures. Endangered hawksbill and loggerhead sea turtles, as well as migrating green sea turtles, use the sandy islands to nest. Huge colonies of seabirds do, too. At least 14 species of sea snakes, which are unable to move on land, and 45 species of slow-moving sea cucumbers live in the two lagoons. The number of mollusks are unknown, only because there are so many of them. The same goes for fish, which move through the swift Indonesian throughflow current from the Pacific Ocean. 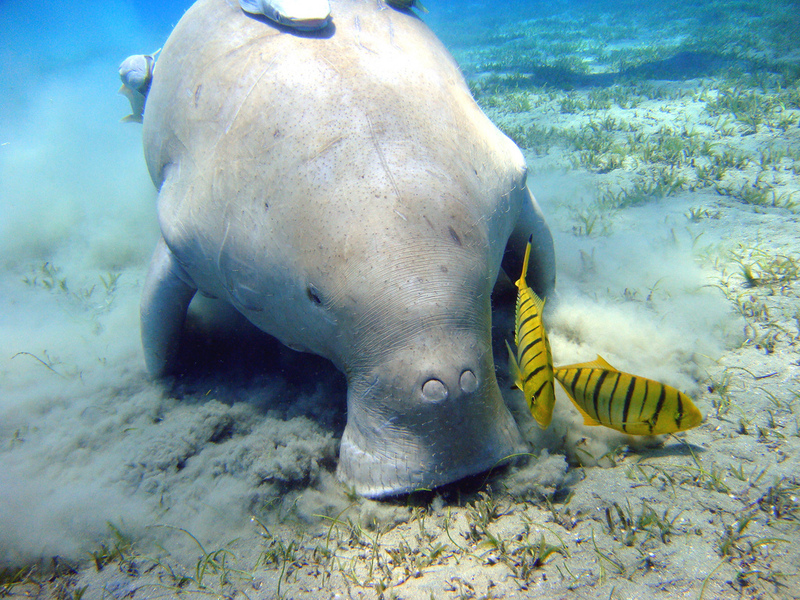 But the dugongs, who live in pairs, truly rule these islands.